The Lake Linden-Hubbell School Forest is a 400 acre area comprised of the "Samuel Eddy Memorial Forest" and the "Hesterberg Addition." Samuel Eddy, a prominent local sawmill owner, donated 240 acres of open farmland and second growth forest to the school district in 1955 and 1956. In 1994, Gene and Judy Hesterberg donated a 160 acre parcel adjacent to the existing School Forest. Both benefactors stated that their gifts are to be used "for the sole purpose of promoting and/or developing local educational facilities benefiting the present and future school children of the Lake Linden-Hubbell School District." As you travel along Hwy M-26 through Lake Linden, make a right turn on 9th Street (Bootjack Road). Drive approximately 5 miles until you see the signs for the SCHOOL FOREST. Turn left and go straight up to the top of the hill. The road will lead you right to the School Forest main gate. In the 1950's, much of the School Forest was open, level farmland suitable for tree planting. In May 1955, Henry Clouthier, Sr. machine- planted the first 10,000 red pine seedlings in the School Forest. From 1956 to 1990, Dr. Gene Hesterberg, a professional forester, managed the School Forest. Under his leadership, it soon became traditional for high school students from the Lake Linden-Hubbell Schools to hand-plant trees each spring-it was possible to plant an impressive 10,000 trees in one afternoon! Tree species planted included red pine, white pine, white spruce, black spruce and Austrian pine. In the late 1950's 2,000 Scots pine were planted. These were harvested and sold as Christmas trees in the 1960's. Today, the trees planted in 1955 have grown to over 30 feet tall and are 8-12 inches in diameter. Beginning in the 1980's, a number of the plantations have been thinned and pruned to encourage tree quality. In 1990, former high school biology teacher, Bill Jarvis, assumed responsibility for the School Forest. Mr. Jarvis laid out and cleared a system of four trails, installed outhouses and signs, established rustic campsites, designed an orienteering course and improved road access. 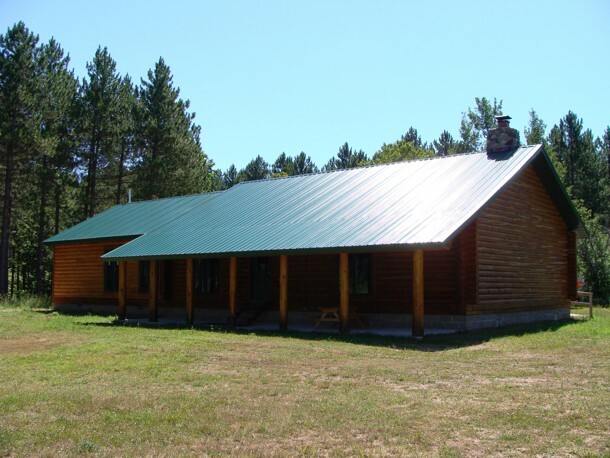 Through the cumulative efforts of our forester, biology teacher, teachers, Board of Education, administrators and volunteers, the District began a revenue raising program using the sale of select timber harvest to finance the "dream project" of developing the property into a premium facility with a log instructional building, hiking trails, nature trails and cross-country ski trails. The District raised in excess of $45,000 for these projects. Using these monies, the building was erected and the property enhancements made. Improvements since then have included an addition to the original building, a well and septic and road/trail improvements. 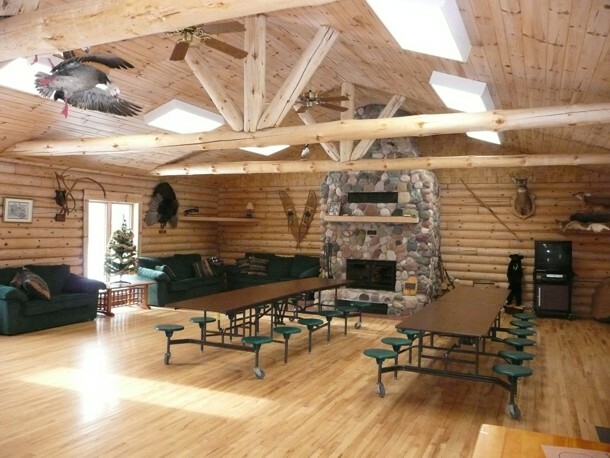 The facility now has a log cabin with a beautiful stone fireplace, kitchen area and indoor restrooms. There is a network of roads and trails that blend beautifully with the natural state of the property allowing a high level of property access by K-12 students and adults, including those with physical handicaps. There is a cross country ski trail that is maintained throughout the winter months. 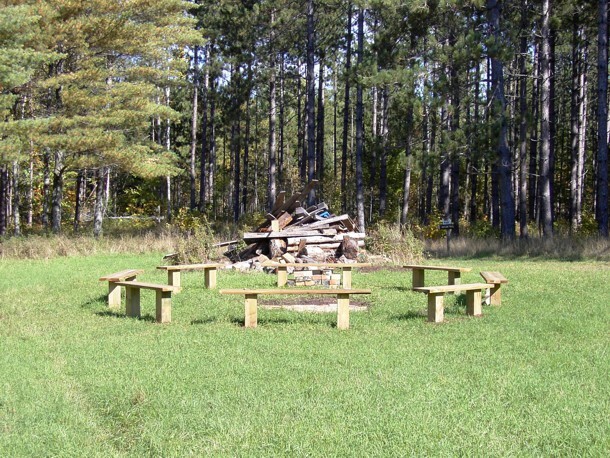 The School Forest also boasts a large fire pit area for campfires, an archery range and a GPS Course that includes 15 geocache sites. In 2002, the School Forest was the recipient of the first ever "Volkswoods Citation" by the National Woodland Owners Association for demonstrating good forestry and providing educational opportunities for children. Teachers from all disciplines use the School Forest in their curriculum. 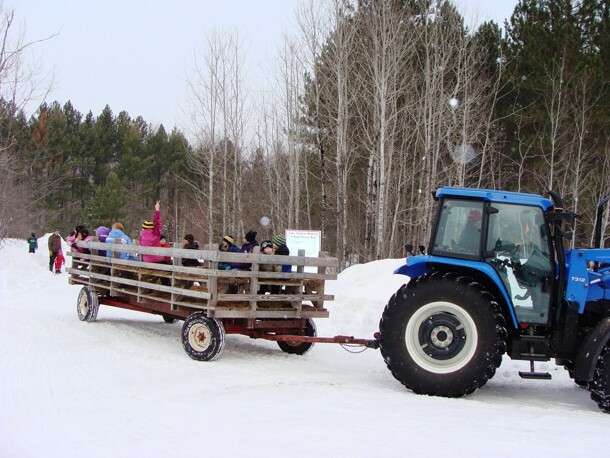 Students from grades K-12 are provided with opportunities to visit the School Forest on field trips for a wide variety of subjects including Science, Math, English, Social Studies, Physical Education, Art and Band.